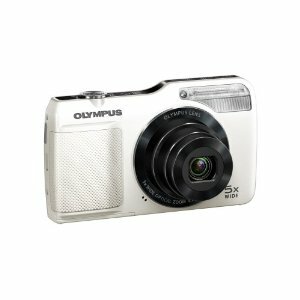 Photography Blog has reviewed a compact camera from Olympus called Olympus VG-170. The VG-170 has a powerful flash with a Guide Number of 8.8. In addition it has 14 megapixels and capability to record HD movies. Photography Blog ends up giving the VG-170 an overall score of 4.5 stars of 5 possible and a “Highly Recommended” rating. The Olympus camera scores highest on value for your money where it gets a perfect score, a little lower on image quality and features, while it scores lowest on ease of use and design. The reviewer really enjoys this camera. While it is not the most beautiful camera body, it is able to take pictures of good quality and it has a lot of nice features. Read the full review of the Olympus VG-170 digital camera with powerful flash here.